Campaigning for the second phase of polls will end today. 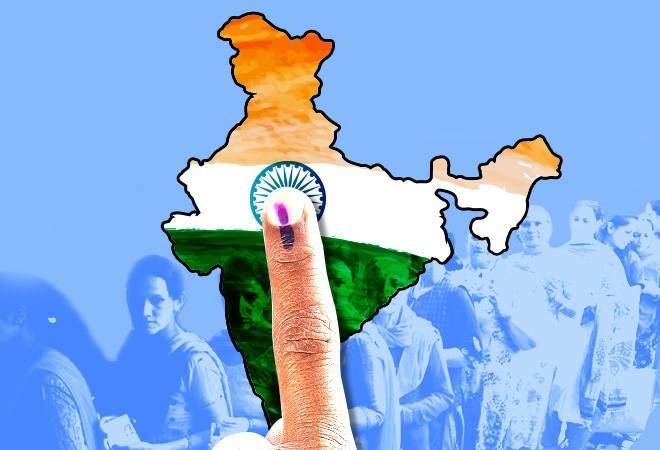 Hectic campaigning for the second phase of Lok Sabha elections 2019, scheduled to be held on April 18, will come to an end today. A total of 97 parliamentary constituencies across 13 states will go to polls in the phase 2 of the 2019 General Elections. As part of his polls campaigning, Prime Minister Narendra Modi will address four public rallies in Odisha and Chhattisgarh today. The Congress party and Aam Aadmi Party (AAP) could also announce their alliance in Delhi where polls are scheduled to be held on May 12. Here are all the latest updates on the 2019 Lok Sabha elections. 12.45pm: "For the last four months, I have been roaming all over the country, and all I am hearing is - Modi, Modi, and Modi," says BJP Chief Amit Shah in Davanagere, Karnataka. 12.37pm: Union Minister Rajyavardhan Singh Rathore files his nomination from Jaipur parliamentary constituency for the Lok Sabha Elections 2019. 12.20pm: Bihar Deputy CM Sushil Modi on Rahul Gandhi's statement 'All thieves have Modi in their surnames': "I will file a defamation case against Rahul Gandhi in a Patna court." 11.52am: Prakash Raj who is contesting from Bengaluru Central LS seat as an independent candidate, tells ANI,"I'm not fighting against anyone.I'm fighting for the people. It's we who are the majority. In democracy,if you choose the right leader,people win,if you choose wrong leader,people lose." 11.50am: "In such hot weather, such a huge crowd, such enthusiasm; pictures of these rallies are giving sleepless nights to others. People are supporting us because they want a strong government," says Prime Minister Narendra Modi in Odisha's Sambalpur. 11.31am: Rahul Gandhi in Kollam, Kerala: "As PM said 'Congress mukt Bharat', meaning we'll erase idea of Congress from India. What Congress says to Narendra Modi is we don't agree with you. We'll fight you to convince you, you're wrong." 10.30am: Two Railway employees have been suspended after tickets with photo of PM Modi printed on them were issued to passengers at Barabanki railway station yesterday. 10.20am: He said India had emerged as a major global power, and that the country believed in "working with everyone for the good of all". 12.15am: Prime Minister also took a dig at the Congress party's proposed NYAY Scheme, saying the party had done 'Anyay'(injustice) for the past 60 long years. Slamming the Opposition, the PM also asked the Congress if the party will also give 'Nyay' to to the 1984 anti-sikh riot victims? 10.10am: In an interview to DD News, Prime Minister Narendra Modi said over 12,000 small and marginal farmers will benefit from the PM Kisan Samman Nidhi scheme. 10.02am: PM Narendra Modi assures that government will transfer Rs 7, 50,000 crore through DBT into bank accounts of farmers within 10 years as part of the KISAN scheme. 9.56am: DMK MP candidate from Chennai Central Lok Sabha constituency, Dayanidhi Maran campaigns in the constituency. 9.36am: Yogi Adityanath on EC ban: The Uttar Pradesh chief minister tells the poll body he was only responding to the divisive politics of the Opposition. He visited a Hanuman temple amid the EC ban on his campagining. 9.13am: "Touched by the gesture of @nsitharaman, who dropped by today morning to visit me in the hospital, amid her hectic electioneering in Kerala," says Congress leader Shashi Tharoor. He reportedly received six stitches on his head after he was injured while offering prayers at a temple in Kerala's Thiruvananthapuram. Tharoor was performing the ritual of 'thulabharam' when he suffered the injury. 9.00am: Villagers in this Chhattisgarh village say, "No Road, No Vote." 8.45am: The BJP's Karnataka unit: "Congress Exposed Youth Cong Nation Secretary Ibrahim Khaleelulla has been arrested after being caught printing fake Voters ID cards." The Karnataka Congress says the BJP spreading "fake news". 8.30am: BJP chief Amit Shah will address four public rallies in Karnataka and Kerala. 8.15am: Congress candidate from Mumbai North Constituency Urmila Matondkar on Monday alleged that BJP workers created a ruckus and reportedly tried to disrupt her public rally at Borivali railway station. 8.00am: Schedule for PM Modi's rallies on April 16.